Ethan told him mom, “Have Missy surprise me.” So that is what I did. 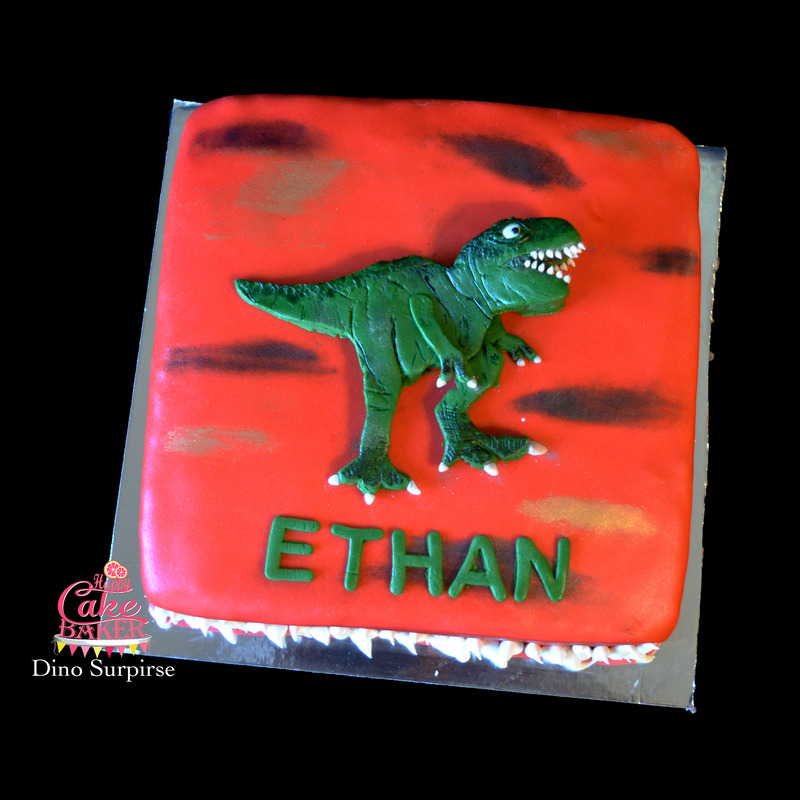 This dino is a single piece of fondant rolled out and then textured and painted. Around the side are royal icing “teeth”.